Run out of coins? Want to accumulate a large balance before going big? Then it’s time to collect the Free Gifts! Every day we post lots of freebies for you to grab on our Fan Page and Twitter! 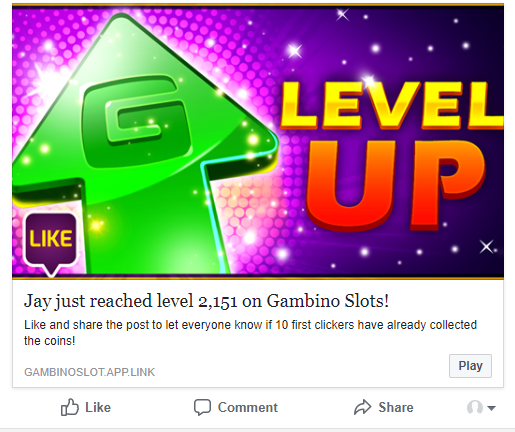 Also, you can join Gambino Slots: The Underworld group, for they too post Free Gifts on a regular basis! And that’s not it, having lots of friends can also benefit your greatly. Every time one of them gets an in-game achievement (level up, Bonus game, etc.) they may post it on their wall for the first 10 clickers to get a coin prize. So if you see a post like that in your feed - press it and grab your prize! Sharing is caring, so if you want to treat your friends with additional coins for your own achievements, you can do it by enabling the Sharing option! 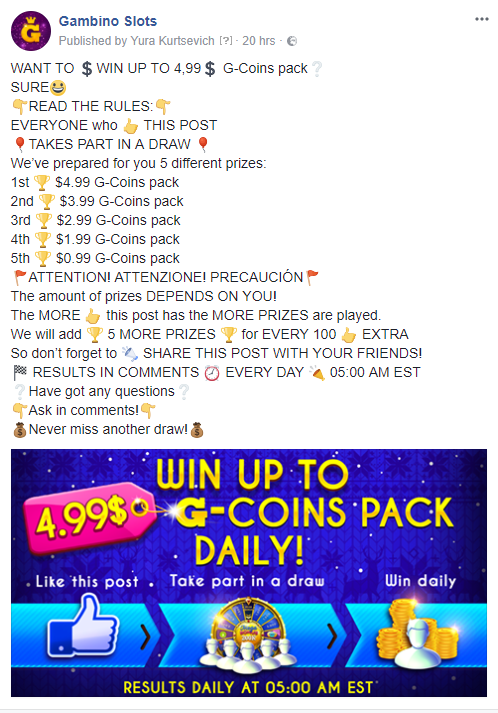 Every day you have a chance to test your luck on our Fan Page and get G-Coin reward. All you need to do is just Like a post like that and wait till tomorrow to learn whether you’re a lucky winner.